The ancient Greek and Roman world has been a constant source of inspiration for the Western Civilization and for humanity as a whole. Classical Western philosophy provides answers for the problems faced by human beings. 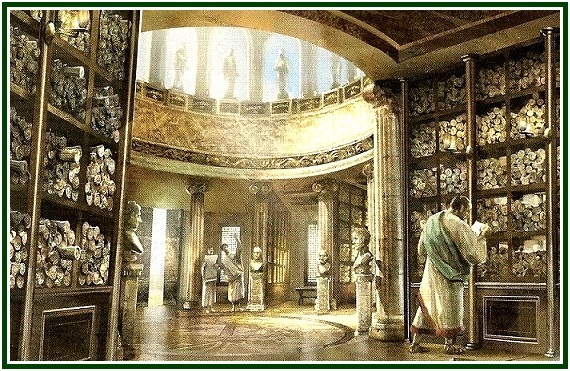 A student of esoteric philosophy can see the strength of divine wisdom as he reads, for instance, the Discourses of Epictetus, the texts by Seneca, Musonius Rufus, Marcus Aurelius and Plutarch, and writings as the Tablet of Cebes or the Golden Verses of Pythagoras. All of them are written in simple language and concentrate on the daily life of the truth-seeker. Through reading, contemplation and daily practice, one can experience in part the very life-substance of these thinkers, and better understand the existence for millennia of an Esoteric School for the Western society as a whole. This is a mystery school of souls, a “conducting wire” of sacred teachings, a living process available today to people of good will. It is not an external corporation or institution. It constitutes instead a line of thought and of action. It is a vibratory pattern. It “floats in the air” or rather in the astral light, inspiring hearts and minds in many different ways. People get connected to it by inner affinity and not formal affiliation. Evidence of actions linked to this subtle current are as spread as the teachings emanating from it. They can be found in the areas of influence and written works of hundreds of thinkers and dozens of lines of philosophical thought. They include scientific progress and research done in many fields of knowledge, and can be identified in the philosophical aspects of religious traditions. Modern theosophy revealed the way humanity is inspired from above. Since the end of 19th century, the written works and life-example of Helena P. Blavatsky constitute a focus of light, and help earnest seekers understand the way life evolves. The most well-documented among the dozens of biographies of H.P. Blavatsky was written by Sylvia Cranston. Part seven of that extraordinary book shows the impact the life and work of HPB have had over human history. 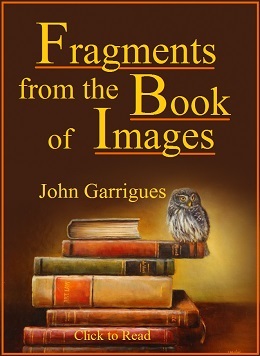 It also examines the living current of subtle inspiration now available to mankind, and which is kept open by the wise beings which have transcended the present phase of human evolution. While a silent, mystical help has stimulated and supported for millennia those whose goal is the good of mankind, not all of them have a proper notion of the process involved. An understanding of the matter, even if partial and limited, provokes a gradual opening of one’s horizons. From the point of view of esoteric philosophy, the practical research in the dynamics of such a process expands our task and makes it go beyond merely memorizing and repeating the writings of HPB or the Mahatma Letters. The effort of every true student must contain a degree of creativity. He must open room for eternal wisdom in the world of today. The real esoteric movement is the subtle worldwide community of good-willing people dedicated to independent research and learning. Such an implicit, long-enduring communion remains free from outer labels and blind belief: it consists of the magnetic field formed by aspirants to the wisdom of the heart. One of the great lodges of the fraternity of Initiates is situated in the Himalayas. The Mahatmas who took part in a most decisive way of the creation of the theosophical movement between 1875 and 1891 belong to it. Another section of the occult brotherhood includes Initiates of nations whose origins are in fourth root-race and who live in the South American Andes; in Central America; or in North America. The third center, the topic of the present article, is known as the Observatory of Luxor. It is traditionally located in Egypt and has an especially close relation with the Western esoteric tradition. This is no astronomical observatory. It observes human souls enlightened by good will, and, in this case, there is no difference between observing and inspiring. The Adept who used the name of S.B. played a central role in the first years of the theosophical effort. If we consider the universe of known and published letters from Masters, this teacher is in a marked third place among those who wrote more letters, and distant from other Adepts in that “ranking”. We know that master S.B. belongs to the Ellora Section of the Observatory of Luxor; however, information on Ellora Section is remarkably rare. There is one footnote to Letter 3 by the editor C. Jinarajadasa reporting that in India Ellora is a system of caves and cave-temples situated some 225 miles Northwest of Mumbai (previously Bombay). Ellora belongs to the World Heritage List of the UNESCO. It is considered by many the epitome of Indian rock-cut architecture. Its hundreds of monuments include at least 34 ancient monasteries and temples. Ellora certainly constitutes a major magnetic centre, and some of its caves might be unknown and invisible to the public due to occult protection. In “The Secret Doctrine”, volume II, pp. 220-221, H.P. Blavatsky strongly suggests Ellora and other ancient places have even today vast nets of subterranean labyrinths and passages, perhaps with six or seven stories. As to old and forgotten times, in “Isis Unveiled”, volume I, pp. 561 and 567, HPB says that the buildings and ruins of Ellora are so similar to the ancient ruins in Guatemala, Mexico and other places that their builders evidently had close contact among them. On p. 590 of “Isis” she also mentions ancient Ellora subterranean rooms and their connections to other places. Several elements of information expand the idea that the Western centre of Adepts is a major and permanent source of transcendent inspiration. These lines deserve a few commentaries. In those pioneering times [1875-1891], the theosophical movement had three sections. The first section was limited to Initiates. The second one gathered disciples. The third section was formed by the aspirants to discipleship and the members of theosophical associations, generally speaking. What the Master says above, as he writes that there is a section in the movement of which almost no one knows, is tantamount to declare that there is a Fourth Section, under the responsibility of a Greek Master. And as he adds that Europe, or the West, “will not be overlooked”, he is suggesting that this Section of the movement is related to the work of the Western Initiates. It is interesting to examine the data available on the work of one of the Greek “Brothers”. Through letter 21 in the Second Series of “Letters from the Masters of the Wisdom”, we come to know that Henry Olcott had a portrait of a Master called Serapis, and that Olcott apparently used the alternative name of Apollo to refer to this Master. The name “Apollo” seems to contain a reference to the close relation between this Adept and classic Greece. The God Apollo, the spirit of the Sun, was mythologically a son of Zeus. Pythagoras, the first philosopher, was associated to Apollo. The term “Serapis” also designates the official god of Egypt during the long occupation of the country by the Hellenistic Macedonia, between 305 B.C.E. and 30 B.C.E. The deity was adopted by the first Greek ruler of Egypt, Ptolemy I Soter, who wanted to establish links between Egypt and Greece. The main statue of Serapis was situated in the city of Alexandria, in a temple especially built for it. The god Serapis included aspects of Osir-Apis, “the dead bull Osiris”. The myth of Osiris includes the idea of resurrection and is known since long time before the writing of the Christian New Testament. As a god, Osiris played the role of a judge of souls in the afterlife. The cultural influence of Alexandria was in perfect harmony with the plan of the Immortal sages to accelerate human evolution and uproot the causes of unnecessary suffering. It is a natural fact, therefore, that the modern esoteric movement constitutes a continuation and a rebirth of that ancient line of work, as Helena Blavatsky states in her books. Thus, when the Mahatmas proposed an esoteric philosophy and a theosophical movement which aimed at the comparative study of different philosophical and religious traditions and stimulated the practice of universal brotherhood, they were not just acting on the basis of Eastern philosophies and the wisdom of the raja-yogis who live in the Himalayas. Their proposition had at its foundation also the best tradition of true wisdom in the West, which is inspired by those Adepts whose nucleus is traditionally located in Egypt and relates to the Hellenic culture. Between 1875 and 1891, the Western lodge of the Brotherhood of Initiates took part in the daily life of the esoteric movement. The “younger Chohan” was Master Serapis. Here, as in other Letters, the master refers to the Luxor centre of Initiates as a “Lodge”. It is also remarkable in his letters the emphatic way he defends Helena Blavatsky, who was by then already misunderstood and attacked, as generally happens to anyone who questions the dominant prejudices of his or her own time. The 19th century world was full of prejudices, and HPB was an unmarried woman. She lived alone, travelled a lot and paid little or no attention to appearance. She led a pure life. HPB was totally dedicated to the spiritual ideal. However, she was irreverent and she demolished the main dogmas of authoritarian Christianity, while also questioning the superstitions and ignorance accumulated by various religions and sects in both East and West. This was more than enough to provoke furious opposition to her coming from several kinds of institutions and narrow-minded persons in general. A word to the wise is enough: the master added only two words to the transcription - “Translation correct” - and signed it. Earnest researchers will see that the quotation is not easily found in the various public versions of the “Dhammapada”. However, master Serapis wrote “Dhamma Padam”, and these two words may have various meanings. “Dhamma” or “Dharma” may signify Law, Duty, Virtue and Doctrine. “Padam” or “Pada” is “way” or “discipline”. “Dhamma Pada” could be interpreted as a reference to the whole Canon on the discipline that leads to Wisdom, and not to the little masterpiece popularly known as “Dhammapada”. It is a significant fact that the same idea of these three sentences can be found in other words immediately before the Golden Stairs, in the first Memorandum of the Esoteric School created by Helena Blavatsky. Besides these few sentences, the whole quotation, made of three paragraphs, is similar in contents to the various paragraphs that precede the Golden Stairs. Let us see now a more fragments of information about this little-known teacher who had a remarkable influence over the work of other Adepts. In a footnote, editor C. Jinarajadasa explains that “Maha Sahib”, an appellation given to Master Serapis, must be distinguished from “Maha Chohan”. Jinarajadasa makes it clear that Maha Sahib is not the “Maha Chohan”. Both expressions mean “great or distinguished gentleman”, with the difference that the term “Chohan” belongs to the Tibetan language. The adept known by the words “Maha Chohan” was the master and immediate leader of the two Mahatmas who inspired in a more direct way the creation of the theosophical movement and who worked in intense and direct contact with H. P. Blavatsky. Both belong to the centre of Adepts which is situated in the Himalayas. What could cause confusion and wrongly suggest that Maha Sahib and Maha Chohan are two names for the same Mahatma is the fact that the Master of Helena Blavatsky was himself a disciple and an aide of the Maha Chohan, while he also referred to Master Serapis or “Maha Sahib” as “our beloved Lord and Chief”, as we saw above. The reason for this is that the creation of the modern esoteric movement was a combined operation of the three main groups of Adepts. The teacher of HPB consulted with and listened to sages who were greater than him in wisdom and belonged both to the Eastern and Western Lodges. Another Initiate, H., followed orders from the Maha Sahib as we can see in Letters 43 and 44 of the Second Series in “Letters from the Masters of the Wisdom”. There is strong evidence in other letters that Serapis Bey had a vast responsibility as an adept. The close cooperation between the Himalayan lodge and the Egyptian lodge of Adepts is shown in a number of documents. As the researcher examines “The Mahatma Letters”, he comes to know that Master Serapis Bey was seen by Alfred P. Sinnett in a dream, during sleep. An Eastern Mahatma was also present. According to the careful notes taken by Sinnett, the fact occurred in the night of 19 October 1880. * HPB was mysteriously helped in writing down long parts of her masterpiece “Isis Unveiled” by Henry More, the neoplatonist who died in 1687. Two hundred years later, in the last quarter of the 19th century, More was firmly established and working in his vast library, in his kama-loka, the first phase of the afterlife. Neoplatonism and neopythagoreanism are under the influence of the Observatory of Luxor or Egyptian-Greek Lodge. The cooperation between Henry More and HPB is described in the first volume of Henry Olcott’s Diary. * In Letter LXXXV of “The Mahatma Letters”, which was written by order of the Maha Chohan, there is an emphatic defence of Hermetic philosophy, a school of thought which comes from ancient Egypt and has much in common with neopythagoreanism and neoplatonism. In the letter, the Mahatma tries to preserve in the London lodge of the theosophical movement an equilibrium between two groups of students. On one side were those who preferred the Eastern teachings transmitted by the Mahatmas of the Himalayas. Their leader was Alfred Sinnett, who at the time was living once more in London. On the other side were the students who preferred the Western teachings and were, technically, under the influence of the Observatory of Luxor. Their main leader was Anna Kingsford. Although she had not a direct and authentic contact with the Egyptian Lodge (in fact, she had imaginary contacts), Ms. Kingsford placed herself in general and most sincerely in the atmosphere of the Western tradition. She also had much in common with the so-called “esoteric Christianism”, whose roots are neoplatonist. Students can see in the Letter LXXXV an exaltation of the principle of unity in diversity and a statement of great value regarding what one could call “spiritual democracy”. By reading that letter we also come to appreciate and understand the profound harmony existing between Eastern and Western Adepts. Indeed, since the deaths of H. P. Blavatsky (in 1891) and of Henry Olcott (in 1907) the Theosophical Society underwent various schisms, as the focus of the original proposal was left aside, so that the new leaders could more easily adopt fake, ritualistic and authoritarian views of the spiritual path. In the 21st century, the theosophical movement has a diversity of associations and is still living its struggle between truth and illusion. The Independent Lodge of Theosophists is organized around the clear goal of working according the original proposal of the movement. Founded in September 2016, the ILT stays away from bureaucratic structures and ascribes special importance to the study of the Mahatma Letters. Since the end of 19th century, the contact with the Masters of the Wisdom still exists and constitutes the decisive factor for the present and future of the theosophical movement. However, it is neither verbal nor visual any longer. It takes place on a plane that is essential and subtler than the world of lower senses, as has been clarified in the well-known Letter of 1900. By examining the material available on the Western Lodge of the Brotherhood students can see that the practical cooperation among the three main groups of Adepts is in the origin of the new wave of appreciation for Western classic philosophy which we can observe nowadays. The silent cooperation between different inner schools is also connected to the present re-emergence of the Andean and other pre-colonial wisdom traditions in South America, Central America and North America. A vast number of inspiring works from the Western culture is available today online and in paper books. The idea that they are “difficult and complicated” is false. One must leave mental laziness apart and study. The ethics of ancient wisdom eliminates most problems and challenges of one’s personal life. While studying the works of classical Greek and Roman philosophy, we may see in fact that a Western Spiritual School is at our disposal. This School lives and works on an inner plane, gathering minds and hearts together since at least the Pythagorean teachings of some 2500 years ago. Hundreds of thinkers have built along many centuries a line of Buddhic light that goes across both time and cultural borders. Among these numerous thinkers one finds Epicurus, the founder of the “Garden” whose ideas - as those of every pioneer - were distorted and attacked by narrow-minded people. It must be a pleasure, therefore, for the truth-seeker, to live a correct and virtuous life. Helena Blavatsky, in “The Secret Doctrine”, Theosophy Co., Los Angeles, vol. I, p. xlv. “The Mahatma Letters to A.P. Sinnett”, Transcribed and Compiled by A. Trevor Barker, TUP, California, Pasadena, 1992, 279 pp., Letter XXIII-B, p. 157. See the text “A 3,000 Years Esoteric School”, by Carlos Cardoso Aveline, at our websites. “HPB - The Extraordinary Life and Influence of Helena Blavatsky, Founder of the Modern Theosophical Movement”, by Sylvia Cranston, G.P. Putnam’s Sons, New York, 1994, 648 pp. 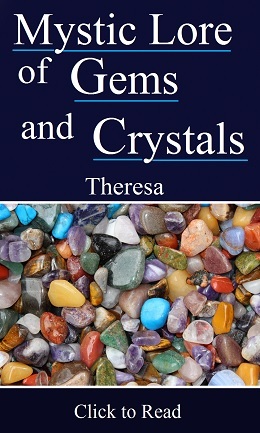 See for instance the articles “The Seven Clauses of a Pledge”, “Commentaries to the Golden Stairs”, “From Ritualism to Raja Yoga”, “How to Find the Master”, “Learning From Each and Every Event”, “The Rule of Sincerity”, “The Meaning of a Pledge”, “The Process of Occult Osmosis”, “Some Words on Daily Life”, “Two Schools of Occultism”, “Chelas And Lay Chelas”, “Pledges in Theosophy, Real and Phony”, “Mahatmas and Chelas”, “Extracts From Private Letters” and “The Guardian Wall That Protects Mankind”. These are some of the articles on discipleship that are available in our associated websites. Arhat: The Buddhist term for “Initiate”. Rishi: Ancient Hindu term corresponding to “Initiate” or “Immortal”. “The Mahatma Letters to A.P. Sinnett”, Transcribed and Compiled by A. Trevor Barker, TUP, California, Pasadena, 1992, 279 pp., Letter LXXXV, p. 399. “Letters from the Masters of the Wisdom”, transcribed by C. Jinarajadasa, TPH, India, 1973. The complete names used by the adepts in the 19th century are mentioned in the two printed volumes of “Letters from the Masters of the Wisdom”. Brother, id est, an Initiate or Mahatma. The fact that this Master is Greek shows the cultural proximity between Egypt and Greece. During many centuries, Egypt entirely belonged to the Greek cultural world, hence the neopythagoreanism and neoplatonism of Alexandria, with Ammonius Saccas, Plotinus and Porphyry, among others. Old Lady, id est, H.P. Blavatsky. In the 19th century, from the cultural point of view, “Europe” was practically a synonym to “West”. “The Mahatma Letters to A. P. Sinnett”, TUP edition, Letter XLVII, p. 271. In fact, the “king and judge” of the afterlife is the higher self or immortal soul of each individual. This “judge” makes decisions on the base of the Law, which is the Law of Karma. Each individual receives in the afterlife the harvest of what he planted in life. The idea of “resurrection” means the “reincarnation” of the same monad. “A Conturbada História das Bibliotecas”, Matthew Battles, Editora Planeta, SP, 2003, 239 pp., see p. 29. “A Conturbada História das Bibliotecas”, Matthew Battles, p. 36. 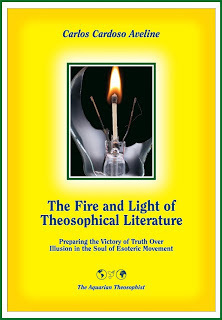 “The Key to Theosophy”, various editions, Chapter 1. In the Theosophy Co. edition, pp. 1-3. “The Letters of H.P. Blavatsky to A. P. Sinnett”, TUP, Pasadena, Appendix III, p. 389. In the Chronological Edition of the Mahatma Letters, see p. 518. Ain-Soph: in the Kabalah tradition, the Absolute, unmanifested Spirit. “Letters from the Masters of the Wisdom”, TPH, second series, pp. 40-42. “Letters from the Masters of the Wisdom”, Second Series, transcribed by C. Jinarajadasa, Theosophical Publishing House, Adyar, Madras-Chennai, India, 1973, Letter 23, pp. 47-49. See “HPB Collected Writings”, TPH, volume XII, pp. 502-503 - especially the first lines on p. 503. “Letters from the Masters of the Wisdom”, Second Series, Letter 27, p. 68. “Letters from the Masters of the Wisdom”, second series, TPH, 1973, India. See Letter 31 (pp. 73-74), Letter 36 (pp. 77-78), and Letter 45 (p. 86). “The Mahatma Letters to A. P. Sinnett”, TUP edition, Letter XVI, p. 116. “The Mahatma Letters”, Chronological Edition, TPH-Philippines, 1993, 600 pp., Letter 3-A, p. 10. The chronological edition provides the context of each letter. Kama-loka normally lasts from a few months to a few years. This is therefore a remarkable exception to the rule. Certainly the kama-loka of such a philosopher contains elements of the Devachan, the blessed and lasting phase of afterlife, combined with a personal attachment to his library. “Old Diary Leaves”, H. S. Olcott, volume one, TPH, India, 1974, see pp. 237-243. On Henry More and his kama-loka cooperation with HPB, there are two articles in the magazine “The Theosophist”. In the September 1972 edition, an article by Alex Horne. In the October 1973 edition, an article signed with the initials “D.J.B.”. In the TUP edition, Letter LXXXV, pp. 398-402. For the context of the Letter, see Letter 120 in the Chronological Edition (pp. 409-413). “Letters from the Masters of the Wisdom”, first series, TPH, 1973, India. See Letter 47, p. 101. See the articles “On Contacts With Masters” and “The Process of Occult Osmosis”, both by Carlos Cardoso Aveline. They are available in our associated websites. “Letters from the Masters of the Wisdom”, first series, TPH, 1973, India. See Letter number II to Laura C. Holloway, p. 149. See in our websites the article “The Ancient Theosophy in the Andes”. Read the text “A 3,000 Years Esoteric School” (mentioned in a note above and available in our websites). “The Essential Epicurus”, Letters, Principal Doctrines, Vatican Sayings, and Fragments. Translated by Eugene O’Connor, Prometheus Books, New York, 1993, 101 pp., see p. 70, Aphorism V in “Principal Doctrines”. The above article was first published in English language in the July 2015 edition of “The Aquarian Theosophist”. It was updated in March 2017.